Pamper Hamper for Her | How to Create A Gorgeous Pamper Hamper For Her? A pamper hamper is a gorgeous mix of shop-bought and homemade beauty products. It’s a beautiful, stylish collection of the best beauty products all wrapped up in a single elegant packaging. It’s beautifully stylish and would appeal to most women. If you’re looking to create the best pamper hamper for her, then you’ve come to the right place. If you want a pamper hamper, try to use a container that your recipient can reuse. 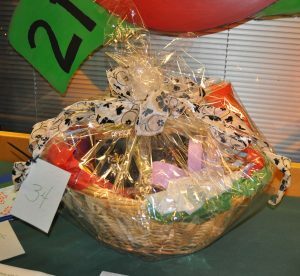 An excellent example of a reusable pamper hamper container is a curved tray. Do you see that one where they put fruits on? That’s the one. It’s the perfect base to start creating the best pamper hamper. What’s Inside A Pamper Hamper? These are just the basics. You can place more than the above list of beauty products. When it comes to a pamper hamper for her, you can go beyond the box and add anything that you think your recipient will like. So, whether it’s the chocolates or her favourite snacks – you decide what you put inside your pamper hamper gift. For instance, you can make the bath soap and body scrub on your own and put them in a glass jar for added style and elegance. Some salt spoons tied to the lid will give them a nice finish. Also, they can even be given as small presents as well. Try rolling up the white flannel and tie it together with the nail files and the hand cream. It will create a somewhat connection between these products. Speaking of nail files, try adding more than one in this hamper — the more, the merrier. So make sure you get at least three different types of nail files. Make a homemade lip balm and add their favourite colours into its overall design. Finally, add a fluffy headband and soft muslin cloth for their face. Once you have everything in place, you can then put it in a fancy basket, or a curved tray like what was mentioned earlier. Add some personal touch by making a letter or designing it according to your taste. That way, even when you secretly give it to the recipient; they will know that you’re the one that gave it to them. Pamper hampers are nothing short of fabulous. They’re the best gift that you can ever give to any girl. You can either create a pamper hamper for her or buy one at our online store. Visit our website now to access our online store.